Docker is on the verge of becoming one of the most popular virtualization approaches which uses Linux containers as a way to segregate application data and underlying infrastructure on your shared resources rather than virtual machines. Docker automates the deployment of any application as a portable, self-sufficient container which will run almost anywhere – including Microsoft Azure. Associated with Azure Virtual Machines (VM’s), Microsoft Azure provides VM Extensions which are developed by Microsoft and by other trusted third-party providers. VM extensions enable security, runtime, debugging, management, and other dynamic features by which the productivity of Virtual machines can be exploited. The Azure Virtual Machine Agent is used to install, configure, manage and run VM Extensions. You can configure VM agent and VM extensions either during the VM creation or on an existing VM. This can be done using the Management Portal, PowerShell cmdlets or the xplat-cli. 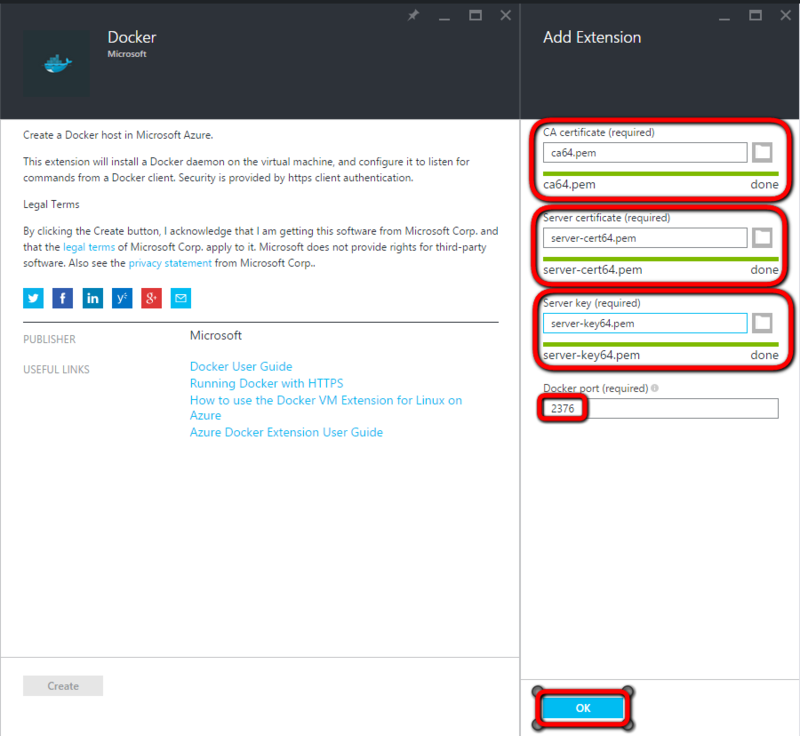 So, using a Docker VM extension and along with the Azure Linux Agent we can create a Docker VM that hosts any number of containers for your applications on Azure. The Docker VM Extension has some very cool features like Docker Hub integration, Docker Compose support and Docker Hub/Registry authentication support. Being Microsoft, Azure also supports open source technologies and frameworks. Various Linux flavored VM’s can also be created. To create Ubuntu server, log into your account in Azure preview portal, Click on New (+), browse to compute, at the marketplace, choose Ubuntu Server 14.04 (LTS) and click Create. Provide all the details and click on Create. Note: Check if curl is installed. In order to allow the client computer to be able to communicate to your Azure host using https, we need to create a self signed CA certificate, Server certificate and a server key. To communicate to your client machine via internet, it is essential to configure the Docker endpoint. To setup docker quickly, you can create Docker on Ubuntu server from Azure Marketplace. The Docker containers are lightweight as compared to Virtual Machine images. The Container Apps are available in the Azure Marketplace. You can find and setup repositories from Docker Hub, which include popular workloads like databases, web blogs, caches, search server, and CI tools, integrated with the Azure Marketplace. At the Azure preview portal, click on New (+) → Compute → Marketplace → compute and then choose Docker on Ubuntu Server and then click on Create. Container Apps help you automate the deployment of your applications which are isolated software containers running in single virtualized instance. For E.g. : If chosen “Docker on Ubuntu Server”, Ubuntu server will automatically install the VM extension along with latest Docker engine pre-installed. 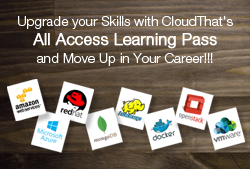 Since the cost associated with provisioning and managing VM’s is reduced, you are now in a position to leverage your cloud instance to gain maximum with these container apps. 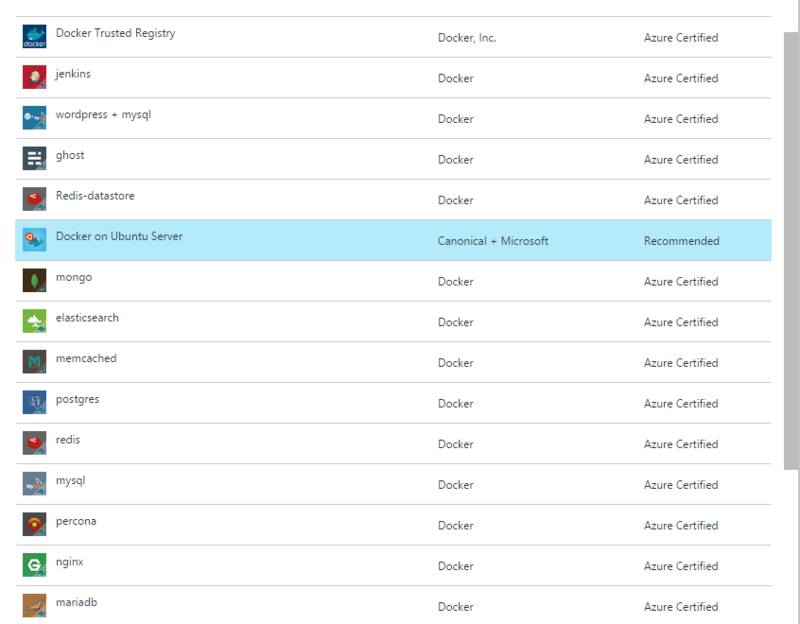 Well, this is just the start for Docker on Azure. Stay tuned and keep following for more blogs on Azure. For any further info, leave a comment.